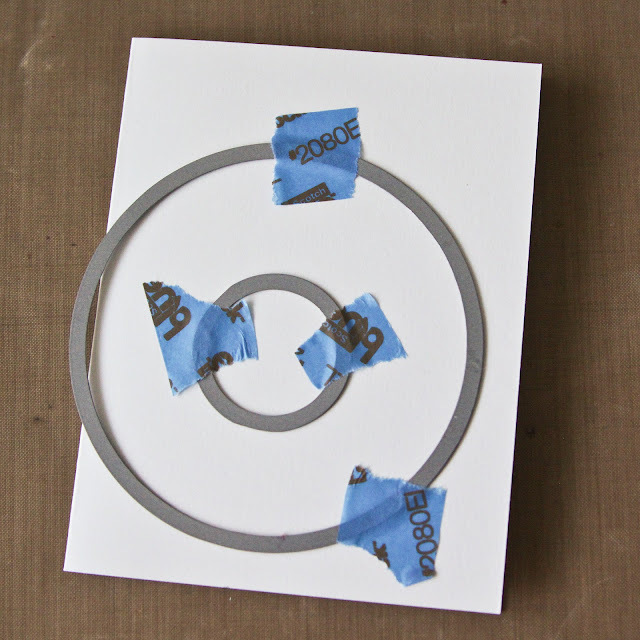 i might have been hungry when i made this card. 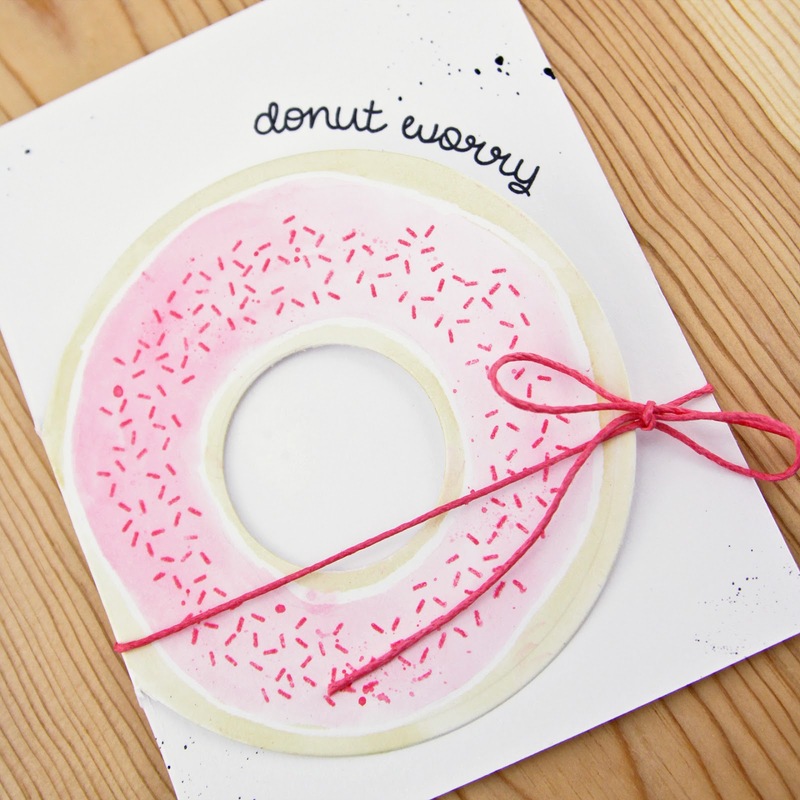 hungry and daydreaming of yummy, sweet donuts! 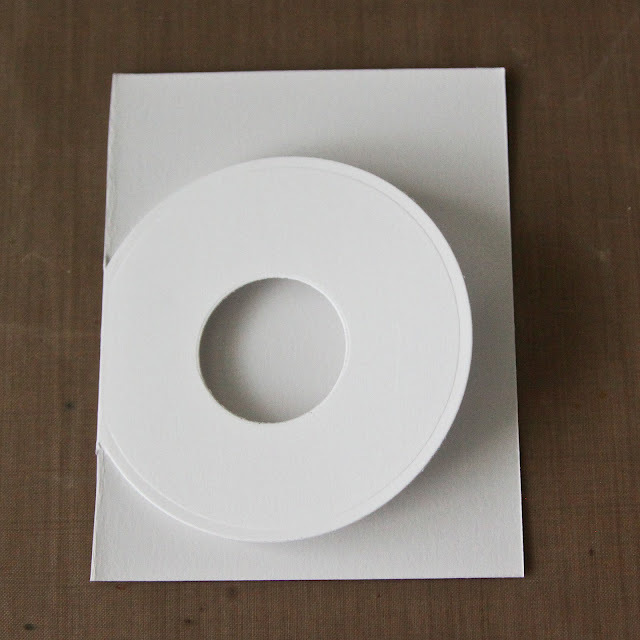 to create this card, die cut circles from a folded A2 card making sure to place the folded edge of the card inside the cutting edge of the die. 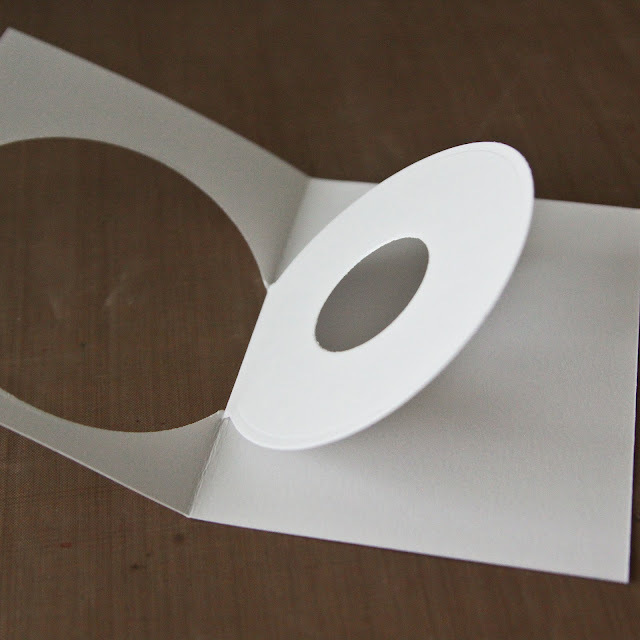 when die cutting, open the card and line the fold with the top edge of the cutting plate. a ring/donut shape will be cut from the card front. 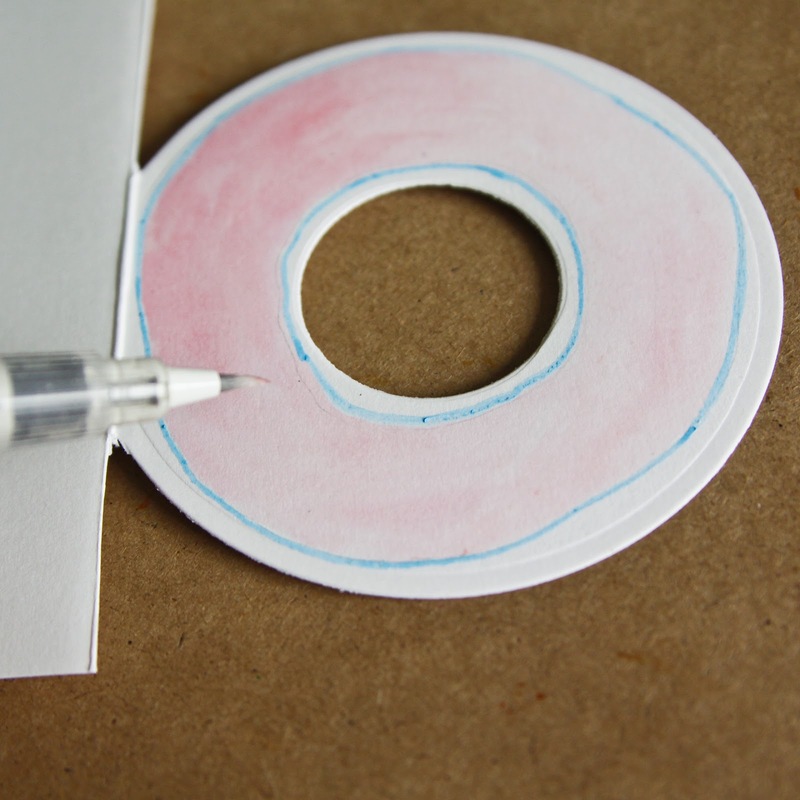 use scissors or craft knife to trim away excess, leaving only the donut. 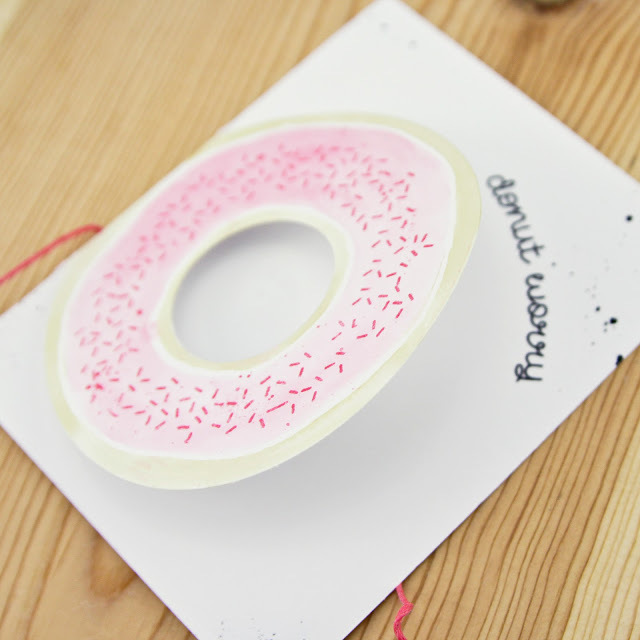 use a masking pen to create icing shape. 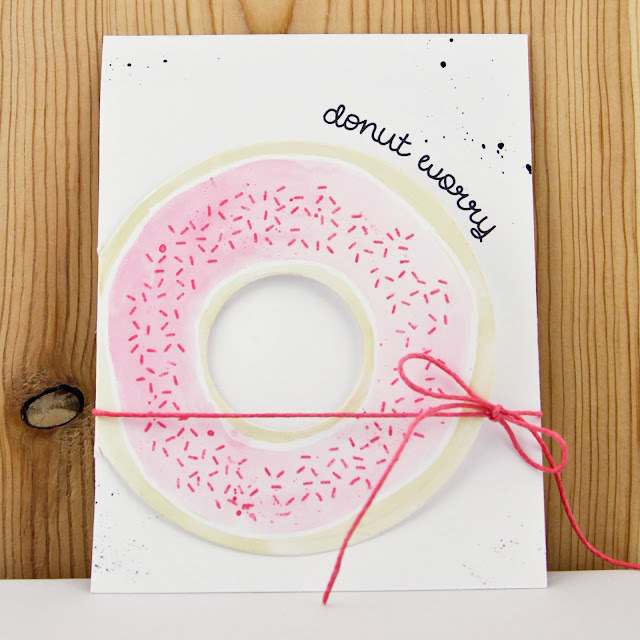 when masking fluid is dry, watercolor icing and donut. 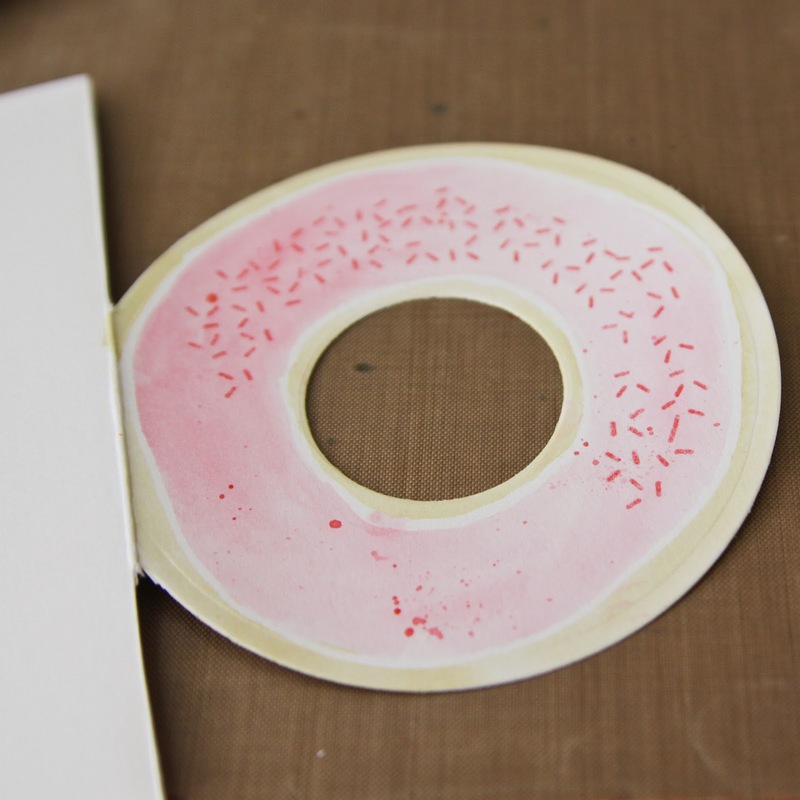 i used spun sugar & worn lipstick distress ink for the icing and antique linen for the donut. 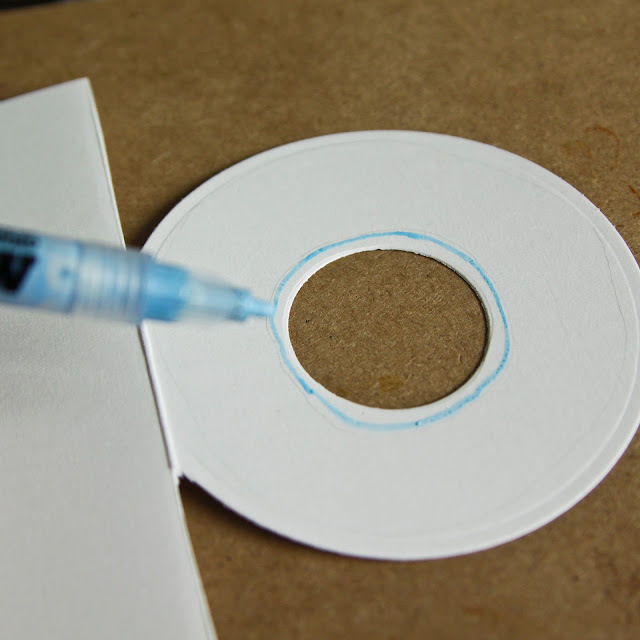 when the watercolor is dry, use a clean finger, a clean white eraser or an adhesive pickup to remove the masking. use a sprinkle stamp or ink splatter to add sprinkles to the donut. i started by adding splatter and then decided to stamp sprinkles from the lawn fawn donut worry set. create curved sentiment by placing stamp on acrylic block in desired shape. 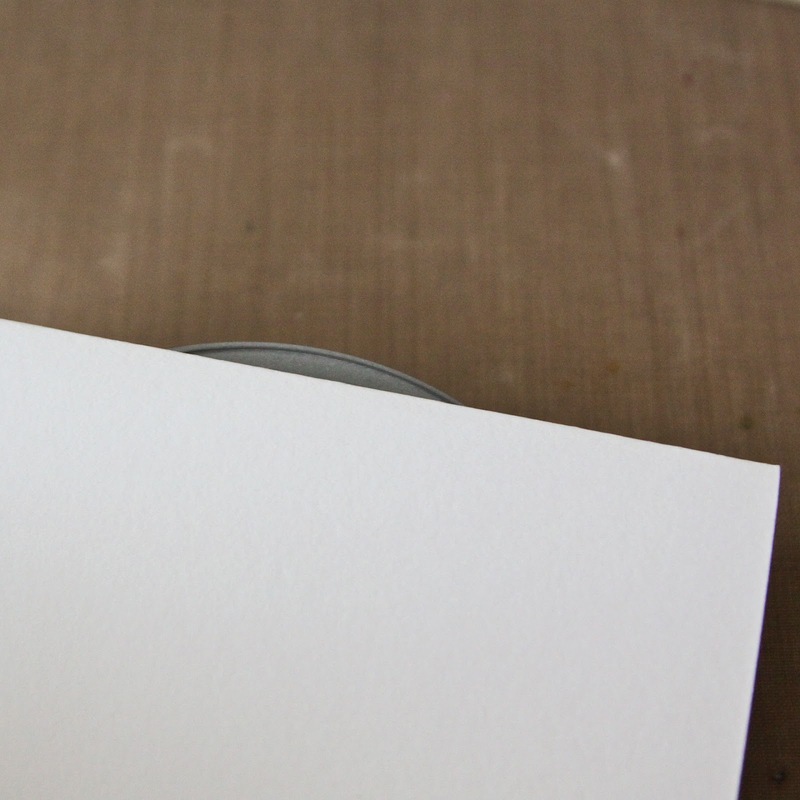 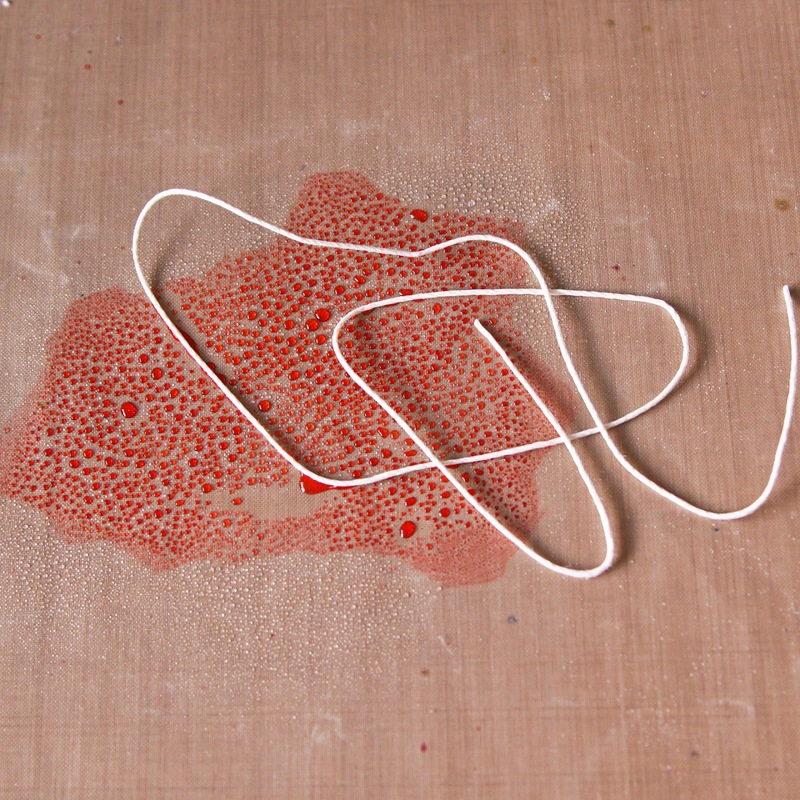 finish with more splatter and a little twine to hold the card closed. 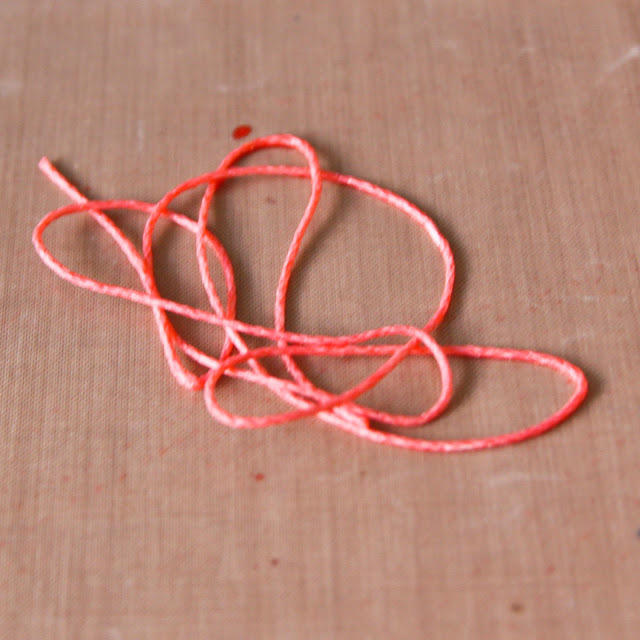 i'm into colored twine right now so i put worn lipstick distress ink on my non-stick craft sheet, misted the ink and put my twine into the ink. 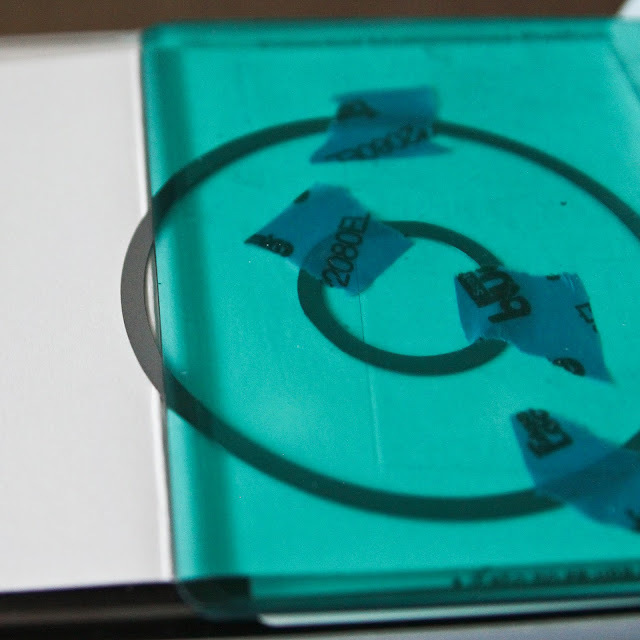 then i used my heat gun to set it.